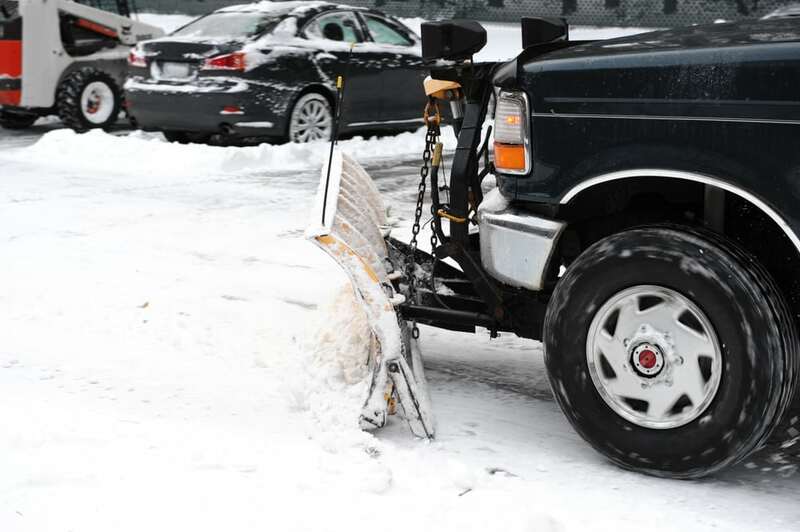 When snow falls at your commercial property, removing it is a must in order to make entering and exiting the building and its parking lots accessible and safe. And when the snow really piles up, clearing it away is also important to the structural integrity of your commercial building. 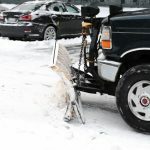 At the beginning of the season, when accumulations may be no more than a dusting, snow removal is a relatively simple service. 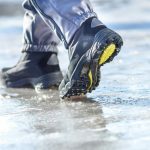 However, as the season progresses, inches of the white stuff often creep up to feet and the addition of ice makes for slippery, unsafe surfaces. Suddenly the simple service just became a lot more complicated. Complicating matters even more are the snow removal mistakes with the potential to lead to costly damages and needed repairs of your commercial property. Before you break out the shovel, snow blower, or plow truck, consider these tips for removing snow the right way. Know the law: Each state has different snow removal laws, including how high snow mounds can be created when plowing snowing on commercial properties. Even if you’re within height limits, make sure the snow mounds allow for safe driving and parking, and do not block a driver’s few of potential hazards, such as pedestrians, standing obstacles, and other moving vehicles. Be aware of your surroundings: White-out conditions can make it hard to see obstacles that would otherwise stand out. Make sure parked cars (some of which may be buried under heavy snowfalls), dumpsters, and parking blocks are not in the path of where you are plowing or clearing snow. Designate an area: Clear a specific area where snow will be moved to, marking the space with easy to see flags or cones. Be sure the area is within safe distance from any structure or building equipment, so that pushing the snow into a mound doesn’t create unnecessary stress on a building or the potential to cause water leaks at the foundation level when snow melts. Be prepared early: You never know when the next big winter storm is going to hit. And when it does, it usually leads to a run on supplies used to keep your commercial building safe and accessible. Stock up on products to control ice, have backup shovels handy, and make sure you have gas available for snowblowers. Seek out another site: The northern half of the country is no stranger to snowfall accumulations in the high double digits, and sometimes even triple. Even if you’re prepared to move the snow, you may have no room left to put it. Look for offsite options to which to move the excess snow, or consider renting a snow melter to decrease the pile ups. Dissolve the slick stuff: Ice can cause not only people to slip and fall but also cars to lose control and crash into your commercial structure. Tend to slick surfaces early and often using deicing materials as necessary. Protect yourself with proper coverage: Sometimes Mother Nature has a mind of her own, and the only way to safeguard yourself is through insurance. While you can do your best to mitigate potential problems, an insurance policy can help deliver peace of mind should your commercial building roof collapse due to heavy snow, a pipe freeze and burst creating massive water damage, or trees be ripped from the ground during an extreme ice storm. 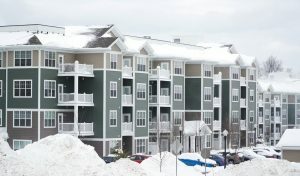 Has winter weather been too harsh on your commercial property? Let our skilled experts help you restore your building back to better conditions. Every second counts when your business is experiencing a restoration emergency. Set up a disaster plan and make sure you are back in business as quickly as possible. A&J’s Code Red program is a free opportunity for businesses to sit down with A&J’s certified technicians and layout an immediate, restoration emergency response plan. Time is your worst enemy in a loss. The longer the water, mold, fire or sewage damage sits, the greater the damage and the greater the cost to restore. Ensure that the problem is taken care of as quickly as possible with a Code Red Immediate Response Plan. Not only will it keep the problem from getting worse, but it will get you back in business as quickly as possible. 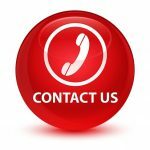 A&J provide 24/7 emergency water, fire, mold, and sewage clean up services as well as specialty cleaning for businesses, and commercial buildings around Madison, Middleton, Sun Prairie, Waunakee, Portage, Milwaukee, Brookfield, WI Dells, Fort Atkinson, Watertown, Oconomowoc, Waukesha, West Allis, and surrounding Dane County Wisconsin areas.